This little black kitten was introduced to the big fluffy cat and the reaction is pretty hilarious! The large ginger cat named Willy likes to sit in the most unusually way, but that’s not what makes this so funny! 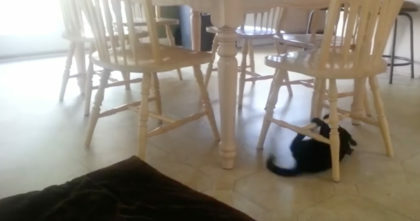 When you see what this little Russian blue kitten does with his fluffy tail you’ll see why this video totally awesome! LOL. 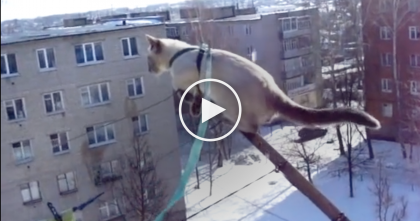 Dare Devil Kitty Goes For A Walk, But Watch Where He Goes… My Heart STOPPED, Kitty Has NO Fear!! 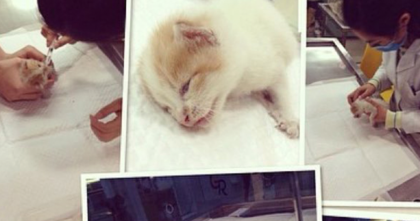 They Found A Kitten In Their Garage, But They Didn’t Expect THIS Would Happen…WOW. 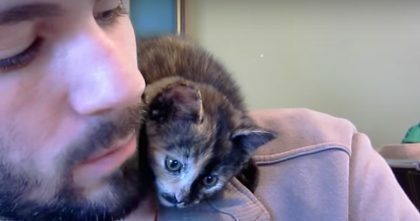 Cutest Little Kitten Refused To Be Alone, So Just Watch He Does With His Owner! 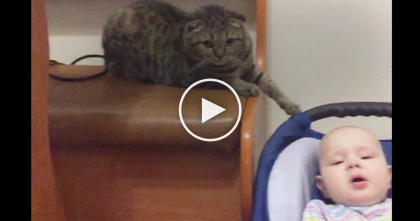 Baby Won’t Stop Crying, Now Watch What This Kitty Is Doing… This Is SOO Sweet, Awwww! !